- The more things change, the more they stay the same. The Lions aren't having any problem hanging with the Panthers on the road. The problem remains a lack of fundamental football. A lost fumble. Missed field goal. Yuck. - I like everything about Joique Bell as an NFL running back except for his ball security. That fumble was not a good sign. - The missed field goal try by Nate Freese was awful. 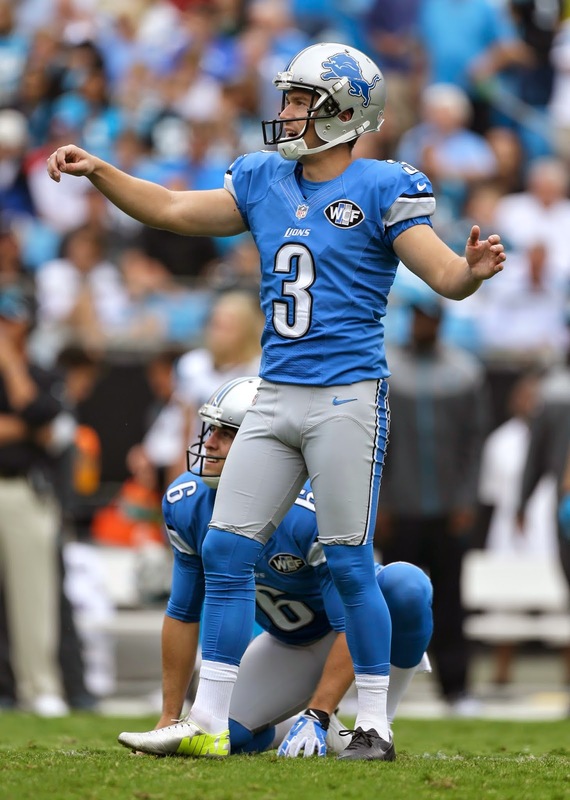 A dependable kicker is a must in the NFL. It's like every team has one, except, evidently, the Lions. The good part from the Lions' stand point is the defense stood up on the ensuing series. It could have been a very early turning point to the game, but wasn't. It was costly, though, in regard to field position. - There is a big difference for the Lions on third down if for no other reason than Golden Tate not only has excellent hands, but he able to get some yards after the catch. - That was classic Calvin Johnson on the back shoulder catch for a first down. Too bad it went for naught. - The Lions' secondary may be considered undermanned, but it has performed very well so far today.